The Pre-Trial Intervention program (PTI) is a first time offender program used on felony charges for those individuals with no prior criminal convictions and who have never used a diversionary program before. If you have used a conditional discharge, conditional dismissal, or PTI in the past, then you are not eligible for the program again. You must make an application to the court, be interviewed by the probation department, and be recommended by the probation department and the prosecutor’s office to be accepted into the program. The benefits are, if you successfully complete the probationary period, the felony charges you are facing will be dismissed and you will have no criminal record. The Morris County criminal defense attorneys at our firm represent clients charged with a range of criminal offenses throughout Morris County including robbery, burglary, aggravated assault, and shoplifting in Madison, Parsippany, Dover, and Denville. In fact, our attorneys have literally handled thousands of criminal cases in Morris County over the last 10 years and have achieved tremendous results for our clients. 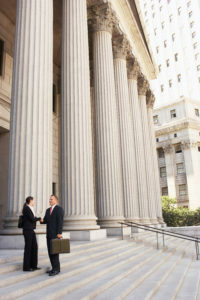 Our criminal defense team is composed of former Morris County prosecutors, former Municipal prosecutors, and experienced criminal defense attorneys who will draft a comprehensive defense strategy to achieve the best possible outcome for you in court. For example, our managing partner, Travis J. Tormey, was recently recognized as one of the top 10 criminal lawyers in New Jersey by the American Jurist Institute. If you meet these criteria then you can apply for the PTI program in the county Superior Court in which you are charged. It is a $75 application fee. You will be interviewed by a probation officer for your PTI application. They will discuss the nature of your charges, your background, any employment status, and any other facts you wish for them to consider (like character letters, etc.). Probation will then make a recommendation to the county prosecutor’s office as to whether or not they think you are a good candidate for PTI. Then, the prosecutor’s office will accept or reject you from the program. If you are rejected, you have the right to appeal that rejection to a judge, known as a PTI appeal. If you are accepted, your case will then proceed to a judge so you can be placed into the PTI program. If you are placed on the program, you will be placed on probation for a period of 1-3 years. There will be certain standard conditions and special conditions of PTI you must comply with. If you successfully complete the program your charges will be dismissed at the end of your probation. I have been recommended for the PTI program by probation and the prosecutor’s office, now what? Your attorney and the court will review these conditions with you before you are placed into the PTI program. Then, the judge will sign the suspension order and you will be placed on PTI supervision. I’ve been accepted into PTI and placed on PTI probation, now what? Comply with all of your conditions and the charges will be dismissed. If you have met all the requirements, you can file a motion to have your PTI terminated early after half of the probation period has been served. Once you successfully complete PTI, the charges are dismissed and you have no criminal record. However, there is an arrest record which will show up on a background check. There is a six (6) month waiting period after you successfully complete PTI and you are eligible to expunge that arrest off of your record. For more information, contact our Morris County criminal defense lawyers for immediate assistance at 201-556-1570. Our attorneys are available immediately at our Morristown offices to answer all of your questions.